I have never taken night photos before. The closest I have ever come to a night photo was to take some early morning photos of Mt Hood (those are still to come). 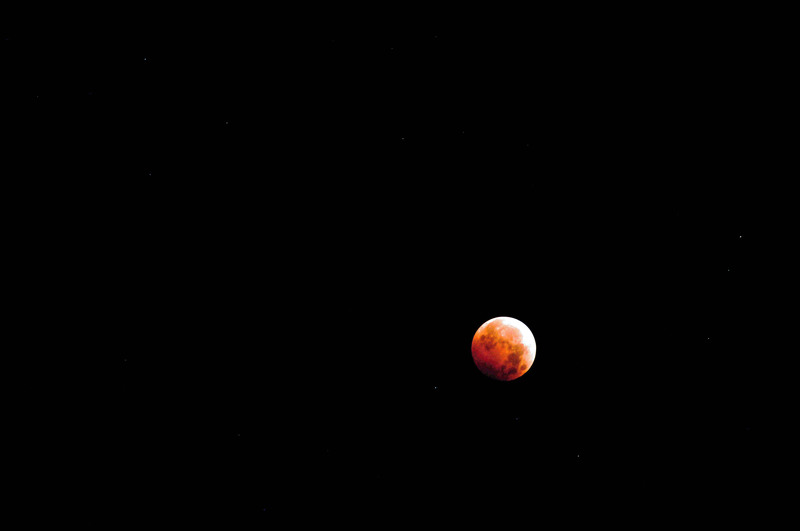 But last night, I decided to try to take photos of the blood moon — the total lunar eclipse that happened last night. While I have a basic understanding of the process and the general equipment necessary to be successful I still found it incredibly difficult. Despite using both a tripod and a remote shutter, many of the photos ended up blurry. And, at times, the camera refused to take the photo, even with a long shutter speed and the ratcheting down (is that how you describe that?) the f/stop as much as possible to let in more light. 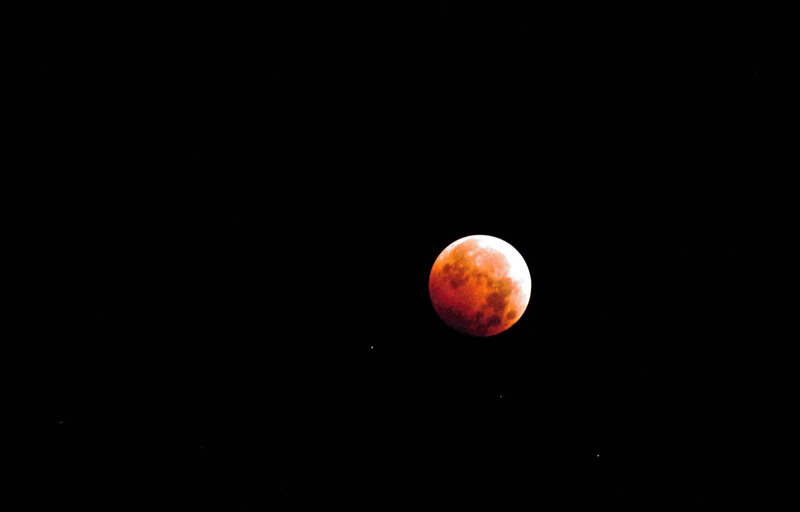 Still, I somehow managed to get one photo that was semi clear. I’m not entirely sure how that happened. Beginner’s luck? A closer look at the one picture I seemed to get right.